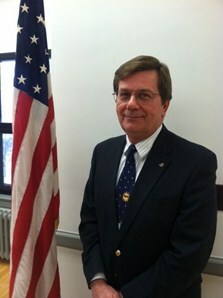 Thomas C. Patterson is a Sandusky native, attended Mills Elementary, and is a graduate of Sandusky High class of 1967. He is a 1978 graduate of Bowling Green State University with a Bachelor of Science in Industrial Education and Industrial Technology. He is married to Cynthia, also SHS class of 1967. They are the parents of 4 children, all Sandusky grads. They have 7 grandchildren, 4 in Sandusky City Schools. Since 1978, he has been employed at Industrial Nut Corporation, currently as the Traffic and Logistic Manager. He is a sixth generation member of Zion Lutheran Church. He was inducted into the Athletic Hall of Fame as a Community Member in 2010.